Affordable Beach Vacations is now at Facebook -- "Like" us to keep up with what's New + Post on our Wall! -- "Like" us to keep up with what's New + Post on our Wall!
. . . an Affordable US BEACH Vacation? ocean and beach + can hear the relaxing sounds of the surf! Click [ > ] to View a short Beach Photos Slideshow - Sounds of Cocoa Beach Surf + some most Viewed Pictures from this Site. Reasonably Priced (and Fun) US Beach Vacations? This Web site was born as a result of 30+ years of planning and "shopping" by my Wife and I for great affordably priced ( cheap ) US vacation beaches for our family beach vacations and oceanfront timeshare exchanges -- and even a few Weekend Beach Getaway Vacations and Cheap Timeshare Vacation Promotions! -- Trips to FUN* beach areas rich with nearby interesting Family and vacation attractions. Thus we can share some of our Attraction "Reviews" with Driving times from major beach areas, approximate time needed to view attraction, many pictures, and even some discount tips to help extend your vacation dollars -- for fun and cheap vacation beaches on the East Coast and West Coast of the US. Save Planning Time and Vacation Dollars? My Wife and I obviously wish looking back that we had known what we do now about planning and saving money on Family Beach Vacations. This free US Vacation "Guide" Site is to help You save Vacation planning time and hard earned Beach Vacation money. -- So you can profit from our 30 years of US Beach Vacations experiences -- and sometimes expensive mistakes. We have tried to make this Web site an easy to use "Picture Enhanced" free "Online Guide" to help you save time, money, and have maximum FUN on your next trip to Florida, Oregon, or Virginia Vacation beaches. -- at " cheap " vacation beaches prices. My wife and I have been traveling to eastern US vacation beaches for now over 30 years. Up until a few years ago, we also traveled with our two kids (along with our Kids Travel Game & Activities Top Picks) Mostly trips to Virginia and Florida with some occasional vacations to Coastal Oregon. Affordable Ocean Front Condo Rentals? We even have some reviewed reasonably priced Oceanfront Florida Cocoa Beach Condo Rentals and Virginia Beach OceanFront Rentals - and have a few Resort Timeshare Exchanging and Rental Tips with pictures, rental price & Info links. Also some affordable vacation Time share rental options and even some Tips on " Free " Time Share Vacations and Timeshare Vacation Promotions with some really cheap mini-Vacation Getaway Discounts & Deals. 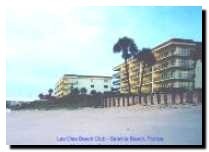 My Wife and I purchased four beach front Florida Time Share Vacation Resort weeks about 30 years ago, and our Family or my Wife and I have used them at the two Home Resorts or exchanged them to other beach vacation time share resorts fairly consistantly over the years. As a result, we have learned a lot - (sometimes the "expensive" hard way) - about the "process" of purchasing, exchanging, renting, and even trying to do Resales or Rentals of time shares by Owner which we have shared here - so you can benefit from our variety of Timeshare Vacation Exchange, Owner, & Vacation Rental experiences -- and mistakes. We have even done the research to get very close to buying a heavily discounted resale time share by owner week + have some experiences renting other resort time shares and renting out our own Interval International (II) and RCI vacation time share condo weeks. These are discussed with some Tips on our Florida / Virginia Beach Time Share "Basics" page and our Vacation Time Share Exchanging Info & Tips page. Memorable Beach Vacations Pictures - Screensavers? Sometimes we got a few good family beach vacation pictures along the way - see some of our free downloadable scenic photo page additions - with Captions - on our Florida Cocoa Beach Screensavers page. One of nine screensaver - wallpaper - printable picture pages. "Tips to help you Plan & Save + Pictures to help you Dream"
Now we even have over 100 High Resolution Photo Previews for large size printable and/or commercially usable Picture Downloads. Gene and his Wife both enjoy historic Lighthouses, and frequently will drive miles out of their way just to tour and take photos of a interesting beach lighthouse -- and to make the long climb to the top for the great view! Thus you will find quite a few Beach Lighthouse pictures on this Web Site. The St Augustine Lighthouse Photo is one of the most popular Screensaver Picture downloads from this Site. (And also in the High Resolution Version!) You can see some additional Historic Lighthouses on our Oregon, Florida, & Virginia Light Houses page. We also have some of our favorite beach and sunset pictures - with Captions - on our Oregon Vacation Beaches Screensavers page - also one of our most popular downloadable screensaver and wallpaper printable vacation pictures pages - with High Resoultion Photo previews from all 4 of our US Vacation Guide Web Sites most popular pictures. We have usually traveled to affordable US Atlantic Ocean beaches destinations with plenty of surf and waves, sand beach and ocean FUN. -- PLUS a lot of nearby places of interest and attractions to entertain the entire family and people watching travel budgets. Family Vacation Beaches Travel Discounts? We've done our share of shopping online and otherwise for Attraction discounts and discounted travels specials. In recent years we've even checked out special over Age 50 discount travels Tips as we are now members of that growing "Seasoned Citizen" vacation crowd. of Tips we have discovered over the years. Enough! You get the idea -- now to what you came here for in the first place -- good Eastern Florida Vacation Beaches, Coastal Oregon Vacation Beaches, or Southeast Virginia Vacation Beaches Online planning Information with "Reviews," Discounts, Pictures, and Tips! - Your Affordable US Beach Vacations Online Guide. Or check out What's New at US Vacation Beaches on our new Site mini-blog - RSS Feed page - all about what's new on US Beach Vacations -- Quick and with no e-mails needed on your RSS Reader or Yahoo, MSN, or Google personal Home page. See current RSS Feed sample and how to easily get your own on this mini-Blog sample page - or just click one of the RSS Feed "Mini-Blog" links at top left - Simple & Convenient - No E-mails needed! Our US Vacation Beaches Web Site page listing with descriptions is below. If you would like to check out our US Beach Vacations Online Guide with pictures of Great Vacation Beaches and nearby attractions -- including "Reviews," Tips, discounts, and time saving suggestions plus tested and annotated free information links -- below are our three Top suggestions! - Also Page II - (Continued from above) - Colonial Williamsburg Attractions & Day Trips + Jamestown Colony & Berkeley Plantation. Now three pages of Virginia Pictures, Tips, & "Reviews" on: Virginia Beach Area Attractions, Near Virginia Beach Attraction Day Trips, and Colonial Williamsburg Attraction Day Trips.
? Why Florida Vacation Beaches? - Florida East Coast Vacation Beaches including Cocoa Beach attractions plus Cocoa Beach and Satellite Beach Day Trip List with Tips and driving times from Cocoa Beach. Now also includes St Augustine Florida Attractions Day Trip + St Augustine FL Beaches Guide, Pictures & Tips.
? Why Oregon Vacation Beaches? - Coastal Oregon Vacation Beaches including Florence area Day Trip List with Tips and driving times from Florence Central Oregon Coast location. Now also includes Day Trip to Newport Oregon Beaches, Attractions, & Lighthouses + Pictures & Tips. Share your own Cocoa Beach Area Favorite Attraction Comments, "Rave," or "Review" on this Favorite Cocoa Beach Attraction Review Page. Florida Vacation Beach Rentals Page - Cocoa Beach and Satellite Beach Resort and Ocean front Timeshare Rental Reviews and Tips + some great vacation time share rental options. Share your Cocoa Beach Vacation Resort Rental, Timeshare Exchange, or Owner/User Experiences on our Cocoa Beach and nearby areas Resort User Raves, Rants, & Reviews page. You also can see the Resort Reviews from others of our Site Viewers. Waterfront Cocoa Beach FL Restaurant Top Picks - Several great Oceanfront favorites - "Reviews, Pictures of the views, & Tips. Favorite Florida Cocoa Beach Area Attraction Comments, "Raves," or "Reviews"
$ Virginia / Florida Attraction & Discount Travels Tips for the Age 50+ Crowd - Includes Car Rental Discounts + others. "Over 50ers" and the "Seasoned Citizen" Set often can get some special discounts we talk about here! Sample Tip: Age 62 or Older & a US Citizen? ("a Seasoned Senior") - Buy an America the Beautiful - National Parks and Federal Recreational Lands Pass - Senior Pass. Only $10 for a lifetime pass! (This is the former Golden Age Passport Senior Pass which is still honored) -- 50% discount for you and your spouse & children (or Grandkids!) or accompanying passengers in your car (if a vehicle gate admission) -- for all Federal Areas. More details + a Info link on our Discount Travels page. Cheap or almost " Free " Time Share Vacations - Mini-Vacation Getaways with Time Share Tours & Presentations. + What to expect and where to find the Top Getaway deals. OTHER Virginia Vacation Beaches - Other than "the" Virginia Beach - in the local Virginia Beach area. Many scenic and interesting often "hidden" beach areas in and near Virginia Beach! Virginia Beach, Boardwalk, and local area Attractions Virginia Beach picture album + Reviews and Tips - Includes Cape Henry Lighthouse Pictures. Day Trips from Virginia Beach Attractions - Pictures + Nearby Virginia vacation beach Attraction "Reviews" and Tips. Newport News, Yorktown Battlefields, and Historical Jamestown Colony Areas. Colonial Williamsburg Day Trips + Pictures, "Reviews" and Tips. Includes Governors Palace, Blacksmith shop, & more + nearby Historical College of William & Mary. Virginia Beach Rentals - "South End" Ocean front Top Picks - Resort Condo Reviews with Pictures & Info Links - Resorts South of Virginia Beach Pier nearer the Inlet. SE Virginia Vacation Beaches - Includes SE Virginia vacation beaches and Getaway Vacation Destinations in areas of: Chesapeake Bay, Newport News, Hampton, Cape Charles, Yorktown, Smithfield, and Jamestown. Some great family vacation beaches in the area! Fall Blue Ridge Parkway Vacation - Fall Photos and Tips - "Must See" driving tour on the very colorful Fall Blue Ridge Parkway - a Fall Getaway Vacation or "Add on Days" to a Virginia Beach Vacation. Why Oregon Vacation Beaches? - Coastal Oregon Vacation Beaches + Florence area Day Trip List with Tips and driving times from Florence Central Oregon Coast location. To Newport Oregon Beaches and Attractions + Lighthouses Day Trip - Pictures & Tips. Scenic Day Trip East fom Florence OR up over McKenzie Pass and old Volcanic area on way to Sisters Oregon and a Quilt Shop my Wife had read about. General Vacation Travel Resources Sites + Travel Discount Sites - Selected Vacation Travels Sites - Travel Discount Comparison Sites. This Web Site: Built by Who? - Why? - How? About Gene - builder of this Site. Why? How + with what Tools? Ever thought about Building your own Web Site? - Tips + some free downloads. Vacation & Travel Domain Names Aftermarket Info - Vacation & Travel Aftermarket Domain Name Resales Listing - Easy to Remember Domain Names for Print Advertising and "Forwarding" for Long Site Domain Names + Why Use? "Cheap ___ Vacations" + "All Inclusive ___ Vacations" & Packages Travel Domain Name Info page. I would recommend the next page you look at be one of our 3 Florida, Virginia, or Oregon "WHY" ? US Vacation Beaches pages described above. Get our US Beach Vacations Blog (mini version) - RSS Feed - To Info Page + RSS mini-Blog with Titles, brief Summarys, and easy links to new US Vacation Beaches Blog updates and Inexpensive Getaway Vacation Planning Tips. Receive our free US Vacation Beaches Update Newsletter - or get RSS Blog for what's new - Keep up on what is new on this US Beach Vacations Site Plus Local Current Activities for Affordable Virginia, Oregon, and Florida Vacation Beaches. Also New Tips and Discount Coupons when available. We are adding Info, Reviews, Pictures, and Tips almost daily. We are doing our best to ultimately make this US Beach Vacations Guide Site one of your most Interesting, Fun, and "Picture Enhanced" Virginia and Florida Family vacation beaches Info and Tips Sources. Thanks for checking us out! Bookmark us and come back soon to see what's new as we grow -- or subscribe to our mini-Blog / RSS Feed using one of the simple links at the top on left. -- No e-mails!!! We would appreciate your suggestions or comments for this Memorable Beach Vacations Web Site and/or our Site mini-Blog / RSS Feed on our Comments Form below. We enjoy reading comments and suggestions from our Site Viewers, and try to respond to every one of the e-mails from the Comment Form below and elsewhere on this Site. If you would like to "Rave or Rant" on a Resort, Attraction, or Restaurant from one of your Florida, Oregon, or Virginia Beach Vacations, please check out the list of pages where you can respond toward the bottom of the page link below. Thanks! Your Comments & Suggestions - We would appreciate hearing from You! Our "Sister" Vacation Site - Affordable Mountain-Fall-Foliage-Vacations.com now has several New England Fall Foliage Vacation and already popular Pennsylvania Pocono Mountains Vacation and Attraction pages + Tips -- with Pictures! -- "Tips to help you Plan & Save + Pictures to help you Dream"
Memorable-Beach-Vacations.com Home page - Reviews, Tips, and Pictures of Affordable Florida, Oregon, and Virginia Vacation Beaches + nearby Florida / Oregon / Virginia Beach attraction pictures and Tips - Affordable US Beach Vacations and Inexpensive Getaways Online Guide. Vacation Time Share Rental Tips for discounts and cheap vacation beaches. Go US Beaches. This Page. Gene would appreciate your suggestions or comments for this or any of his US Vacation Web Sites on the Gene Seecann Sites Comment Form Page or Via the "Contact Us" form above. To top of this page - Affordable Memorable Beach Vacations .com Home Page - Florida Cocoa Beach + St Augustine, Virginia Beach, and Central Oregon Coast Area Beaches and Attraction + Getaway Vacation and Timeshare Information + Time Share Rentals "Reviews" and Condo Rental Discount Tips. Affordable (cheap) US Beach Vacations and Getaways Online Guide. -- "Tips to help you Plan and Save + Pictures to help you Dream"